As Tumeke pointed out last week, the Government are set to close 3 prisons (2 announced now, one more in the future) in an announcement on the 28th with hundreds of jobs on the line. What is driving these closures? The Government pretends it is 'human rights issues' because the prisons are so old. With all due respect this Government has done more than Clayton Cosgroves hair plugs to denigrate the human rights of prisoners. Sure Labour couldn't help sing the redneck happy clap two step shuffle with the electorate over longer and harder sentences for prisoners, but this Governments feral attitude towards human rights for prisoners has seen double bunking, the removal of prisoners voting rights and a erosion of prisoners legal rights. When the National Party of all people bleat that they are doing something for prisoner 'human rights' one should feel terrified. Who is driving these prison closures? The private prison industry. What the mainstream media has still not been able to put together is the following reality, these public prison closures will mean that the prisoners will be re-housed into the new billion dollar tax payer funded private prison. I'm surprised that Tumeke will once again be the first to point out the bleeding obvious to the mainstream media - when you compare the current prisoner muster with how many beds SERCO will now control in that muster, these prison closures will mean that by 2015, NZ will have 20% of their prison population controlled by the private prison industry. NO country on earth has that many prisoners in private prison custody, how come no one in the mainstream media even seem aware of these numbers? The driver behind these prison closures are not 'human rights' as National pretend, it's about transferring the largest number of prisoners into private prisons in a shorter period of time than any other country has ever attempted. 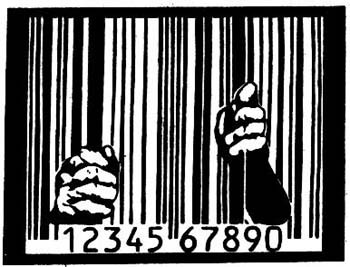 What we are seeing is the wholesale privatization of prisons with out so mush as a whimper from the mainstream media. We are a nation of sleepy hobbits being led by a mainstream media too blind to see. That we will have the highest level of prisoners in private prisons in the shortest period of time with almost zero debate actually astounds me. Why don't they just outsource all prisons to China? Then we can close ALL of them. No more evil-doers on NZ soil and think of the cost savings! We already have accepted environmental and wage arbitrage with our Chinese friends so it's only natural to extend it to the justice system. I guess I shouldn't be giving them any idea. Good Stuff Bomber. I thank you for informing me of this privatisation of our prisons (by stealth? )Treasury is one area that needs serious pruning. This new guy Mahklouf at the helm is an absolute gem. Haha. 5 years of serious clowning from him. Corporate Welfare for multi-nationals! $300M a prison to build ... hmmm I wonder how many builders, plumbers, sparkies apprentices that money could fund to build houses because of the house shortage crisis in NZ? Times that by 5 for all the prisons to be built, there'd be no need for new prisons because everybody would be working!